At Better Health, part of our mission statement is to find effective and innovative treatment options that can be used as an alternative to treatments such as medications, which can have terrible, unwanted side effects. It is important to remember that any oral medication that you ingest has to be metabolized by your liver. I have found that treating toenail fungus with laser is an effective, safe and successful way of eliminating the fungus in toenails. 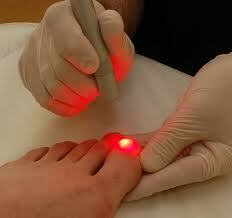 Laser Therapy for Fungal Nails – Simply the best solution out there…………. /wp-content/uploads/2016/05/Screen-Shot-2016-05-04-at-2.42.43-pm.png 0 0 andrew /wp-content/uploads/2016/05/Screen-Shot-2016-05-04-at-2.42.43-pm.png andrew2015-08-18 08:39:402016-06-22 02:36:27Laser Therapy for Fungal Nails – Simply the best solution out there…………. 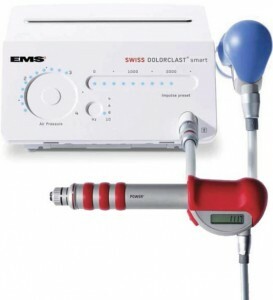 How does shockwave therapy work (ESWT) on heel and arch pain? Shock Wave Treatment or ESWT (“E” standing for extracorporeal) stimulates your natural healing process by increasing blood supply and breaking up calcium deposits within tendons and ligaments. A high-speed sound wave is generated within the shockwave gun. This then penetrates through the skin and into the area of pain. The characteristic migration of this wave is spherical and is often referred to as a ‘drop in a pond’ wave. This wave stimulates the tissues as it migrates in a radial (circular) fashion. As the sound wave ripples through the tissue it stimulates blood vessel production and scatters a blood factor called substance ‘P’. The extra blood allows healing to start at the area of complaint while the scattering of substance ‘P’ causes a relief from your discomfort. Heel pain – Sydney Podiatrist explains Shockwave therapy and the treatment of heel pain. Shockwave therapy kicks start the healing response. /wp-content/uploads/2016/05/Screen-Shot-2016-05-04-at-2.42.43-pm.png 0 0 andrew /wp-content/uploads/2016/05/Screen-Shot-2016-05-04-at-2.42.43-pm.png andrew2013-09-18 02:26:152016-06-22 02:40:52Heel pain - Sydney Podiatrist explains Shockwave therapy and the treatment of heel pain.